When Matt Fieldman pitched, and won, for his software bootcamp idea at Accelerate 2015, he had no idea the idea would take off the way it has. Not only is the program a full-fledged academy within Tri-C helping dozens of low-income individuals gain the skills and connections for sustainable, fruitful software careers each year, Cleveland Codes recently became a national model. The City of Chicago is creating a software bootcamp for low-income individuals, which they are calling “Chicago Codes.” Matt and his Cleveland Codes partner, Seth Pinckney, communicated regularly with them during the program’s development and their bootcamp is based closely on the Cleveland Codes model. To date, Cleveland Codes has provided coding education and career advancement services to 80 low-income individuals. The program boasts a 90% graduation rate. To date, over 70 low-income or under-employed adults have been successfully trained as entry-level, full-stack software developers. Roughly 40 percent of graduates are women, and over 60 percent are minorities. Over 70 percent of graduates are now actively working in technology careers, with many going from minimum-wage positions to $15-20/hour in their new roles. Cleveland Codes, which is now a program run by Cuyahoga Community College, continues to build partnerships with companies interested in hiring graduates into paid internships, so please reach out to Seth Pinckney (seth.pinckney@tri-c.edu) if you’re interested in exploring how Cleveland Codes students can help build your tech workforce. With over 500 openings for software developers and coders, Cleveland desperately needs more tech talent. At the same time, for-profit software boot camps have become all the rage. 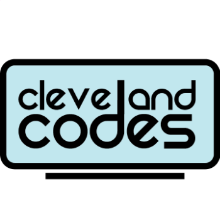 On February 25, 2015, Matt Fieldman pitched his idea to address this issue: Cleveland Codes. Through philanthropy and social enterprise, he wanted to bring long-term careers in software coding to Cleveland’s underprivileged populations. After winning Accelerate, Matt began moving his project forward and partnered with Cuyahoga Community College for what is now Cleveland Codes Tri-C Software Developers Academy – a 24-week immersive program provides students with skills to pursue a career in web development. The first class began in March 2016. Over 120 low-income adults throughout Northeast Ohio applied; 15 students were accepted (40% minority, 40% women). Many were unemployed or under-employed. The first class of 14 students graduated in June 2016. For their capstone projects, the students created an online app that is being used to fight infant mortality in Cleveland. Already 12 students have moved into paid internships ($15 per hour). The second cohort, which received 115 applications and accepted 22 students, launched on September 21, 2016. Visit http://clevelandcodes.org/ to learn more.